Our guesthouse is a very safe and friendly place to stay, even for first time travelers. We have three types of guest rooms. Private rooms are available for 1~3 guests. 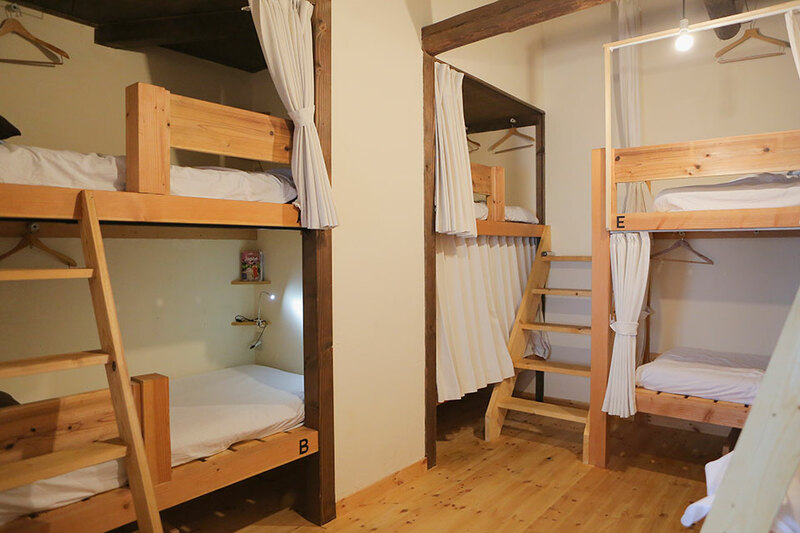 Mixed dormitory room is for up to 8 guests. Female-only dormitory room is for up to 6 guests. 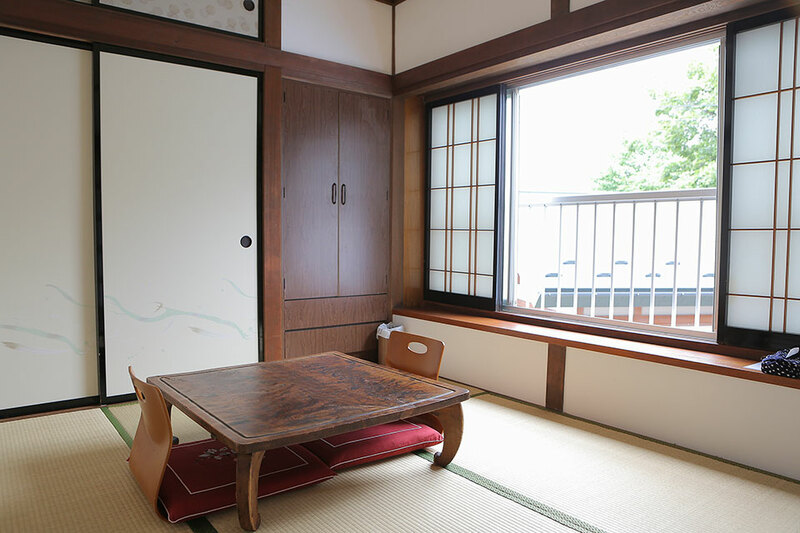 Private rooms are traditional Japanese style with plaster walls, in which you can enjoy the atmosphere of a classic Japanese house interior. 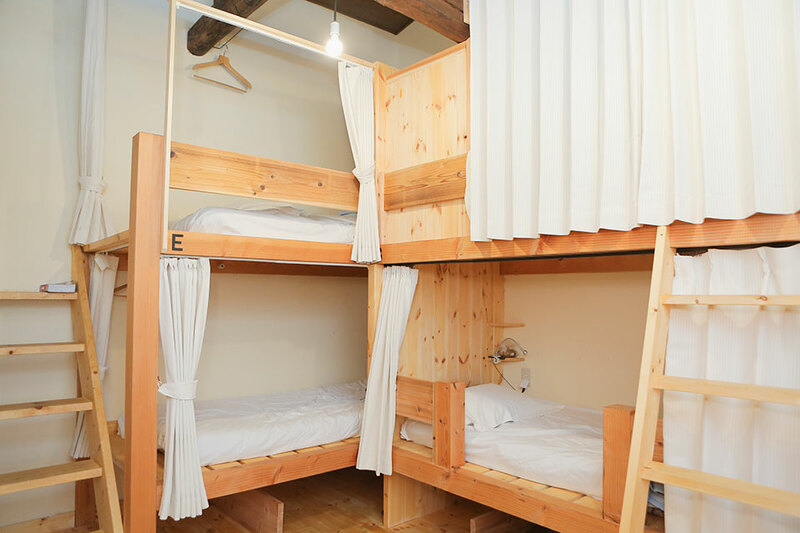 Dormitory rooms are spacious and have high ceilings that make you feel comfortable and relaxed. Custom built wooden bunk beds have stairs, not ladders, so you can get to the upper beds safely and easily. Female-only dormitory room has a passcode lock on the door for security. Each bed is equipped with a power outlet, reading light, hanger and safebox (please use your own padlock). Each bed is equipped with a power outlet, reading light, hanger and safebox (please use your own padlocks). Tatami mat flooring and traditional Japanese futon bedding.